The Old Lock keepers cottage a deceptively spacious holiday home with four bedrooms and situated in one of the most idyllic places we have ever seen! 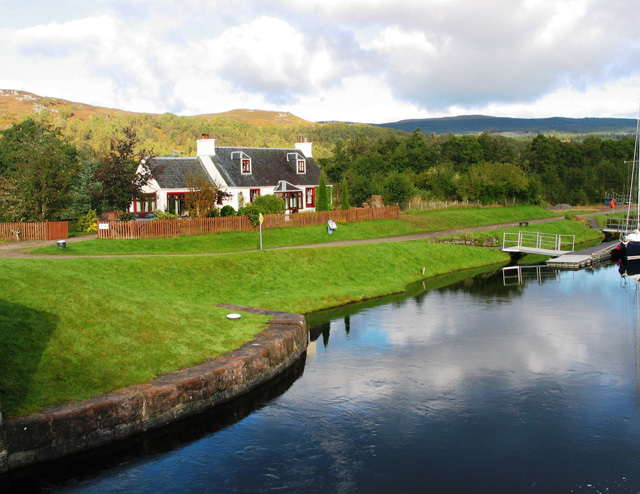 As the name suggests it was formerly the home of the lock keeper on the Caledonian canal four miles from Fort Augustus a picturesque village nestled at the southern end of Loch Ness. 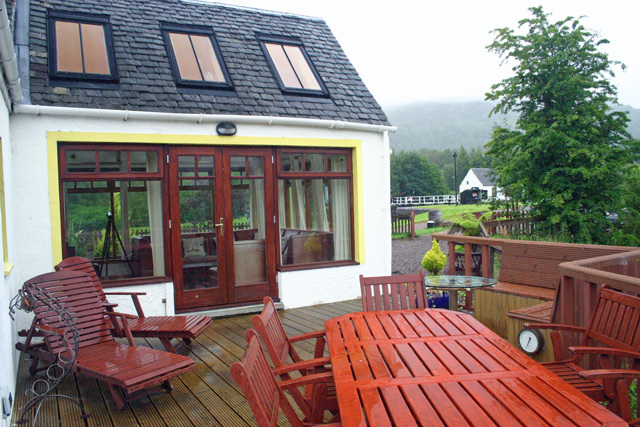 The cottage is situated on a stretch of canal between Loch Ness and Loch Oich. The Old Lock Keepers cottage is a listed building dating back to 1800 the original cottage has been extended and refurbished to provide comfortable and spacious self catering accommodation with much character in a unique location, most rooms looking out to the Cullochy lock gates. Fort William and Inverness are both about forty minutes drive away. The gardens are enclosed and landscaped with colourful plantings and a large decked area is furnished with picnic tables and loungers. There is plenty of interest to be had simply watching the boats, large and small, passing through the lock gates. 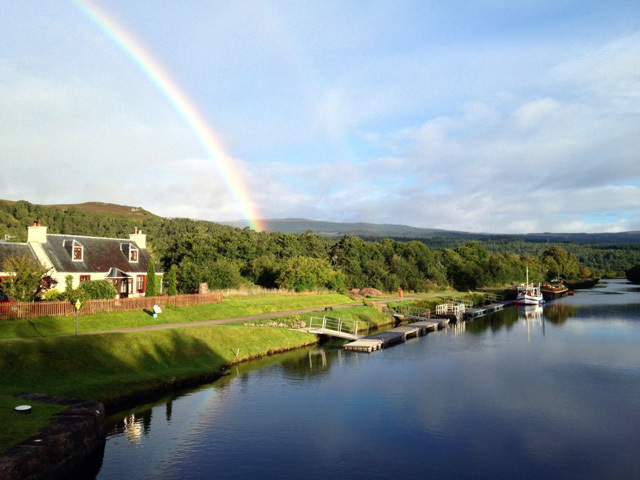 The Caledonian Canal tow path is actually used in parts as the route of the Great Glen Cycle and Walkway which passes in front of the cottage, so making this is the perfect choice for outdoor activity holiday suitable for all ages and abilities. A comfortable lounge with a lovely open fire gives a pleasant inviting atmosphere. Spacious sun lounge with wall to wall windows allowing good views of people and boats passing through the canal lock gates. A well equipped modern kitchen and dining room open onto the decking through patio doors. Electric cooking, fridge/freezer, washer/tumble dryer, dishwasher and microwave. Utility/drying room with access to the garden. A double bedroom and adjacent bathroom are on the ground floor, with bath and separate shower. 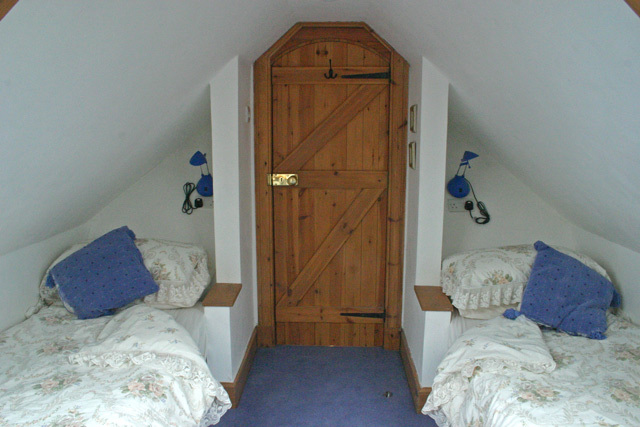 A steep staircase rises (this staircase is quite steep and narrow, so we would not recommend the upstairs rooms for people with mobility difficulties) to a twin bedroom and a double bedroom which leads to a twin bedroom and small en-suite bathroom. Two freeview televisions (kitchen and lounge) with DVD players provided in the lounge and the upstairs twin bedroom. Two pets are welcome at the property and the garden is fully enclosed. A Good Housekeeping Deposit of £200 is required at the property. Cottage location by the lock gates on the banks of the Caledonian Canal. 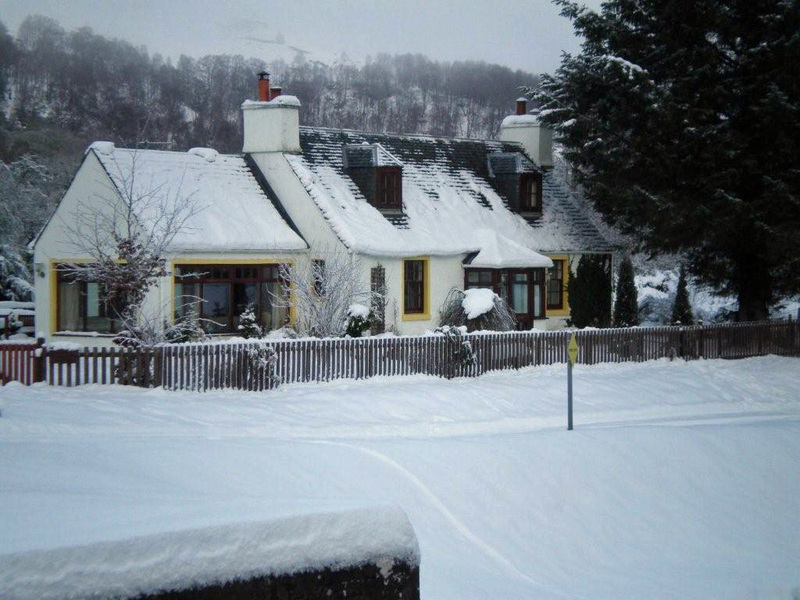 Close to the Village shops bars restaurants and Loch Ness. Exceptionally good place for cycling and walking holidays for all the family. Our second visit to an outstanding home from home, which is fully equipped with everything and more that's needed for a great holiday. Log fire, wildlife, birds including the fly-by from the eagle, along with great restaurants & cafes and the many trips to be taken are the cherry on top for this property. We'll be back soon ! Lovely cottage with lovely walks from the door. Enjoyed the boats going by, quite a busy place for walkers, cyclists and boaters. Beware there is a weir which floods and can prevent getting car to and from cottage. Flooded while we were there. Lovely large secure garden for dogs. Has everything you can need and cosy log fire with wood supplied. Hope to go again. The Old Loch Keepers Cottage is in a great location, half a mile from the road, it is very peaceful but next to the lock so usually a bit of boating activity to watch during the day. The track to reach the cottage is wide and well surfaced so no problem to reach the cottage. The cottage is well equipped, we have never stayed in a cottage with a fish kettle! but it also had everything else we required. If there are eight of you may find the single four cup coffee pot a bit small but otherwise no lack. Our dog enjoyed the enclosed garden and seeing people go past and this makes the lock side location safe for children too. 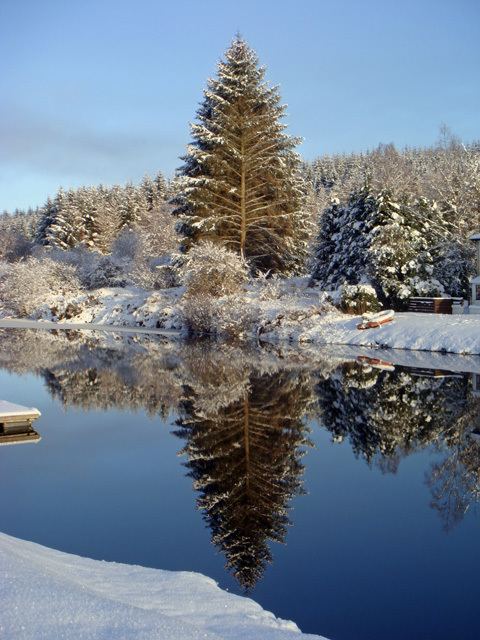 There are great walks nearby including walking towards Fort Augustus on the tow path or along Loch Oich on the Great Glen Way. Fort Augustus is always busy with coach tours but we had a good lunch at the Loch Inn. The Londis store at the petrol station is quite well stocked but Fort William now has a brand new Aldi and M&S Food to compliment its existing Morrisons. My main advice would be take lots of midge repellent and then relaxing will be easy. What an idyllic setting and very comfortable house. We had a super holiday, exploring the local area, skiing at the Nevis Range and cycling back and forth to Fort Augustus. Thoroughly recommended for families. A lovely cottage in a very peaceful and beautiful location. The cottage was well equipped and comfortable and the conservatory was a great place to watch the many birds from, as well as the boats going in and out of the lock. We had many lovely walks and cycle rides along the canal path, as well as kayaking up to Loch Oich. We also saw a pine marten in the garden and heard stags bellowing in the hills! All in all a perfect holiday location. Lovely cottage in a beautiful location. My family and I spent the week here a few years ago and just had to come back. 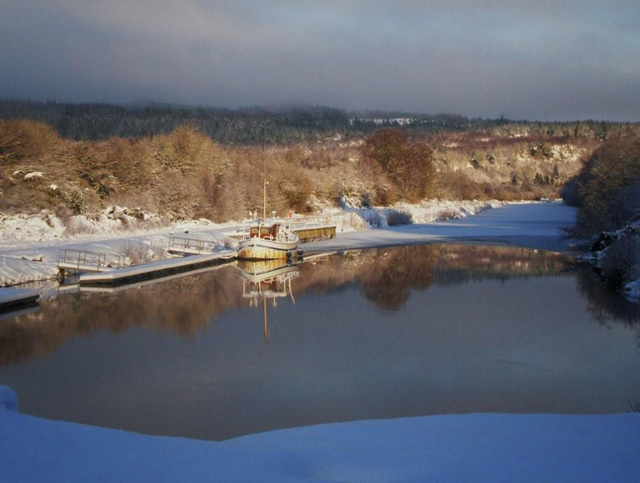 We've been coming to Fort Augustus for the last 23 years and always used to stay at the chalet park so when this no longer became an option we struggled to find somewhere big enough until we found the Old Lock Keepers Cottage. The stair are a bit precarious and not suitable if you struggle up and down stairs at the best of time but its worth it for the beautiful walks along the canal excellent views. We love it. 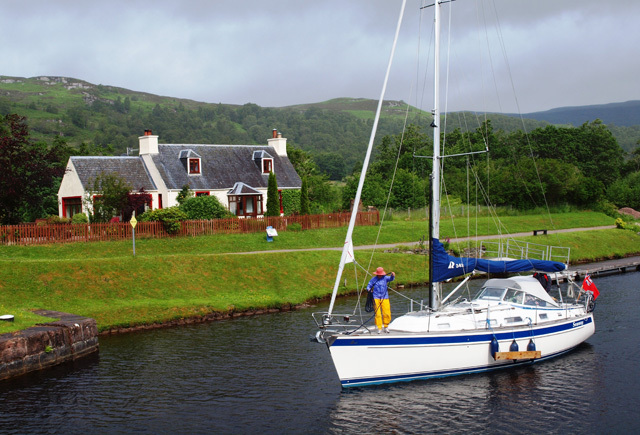 What a pleasant well equipped cottage with a marvellous situation on the Caledonian canal. We were a party of 7 adults , three of which were from the USA. The cottage was very cosy partly due to the very generous supply of fuel for the log burner, supplemented by central heating. Great views from the windows/ sun room over the canal. The variety of craft using the canal was a surprise and never ceased to entertain. If you were lucky you might catch sight of visiting pine martins to the cottage and deer on the hills opposite. Sadly , we did not have our bikes with us as the tow paths are ideal for this activity but also for those that like to walk. Fort Augustus is only a short distance away, and Skye , Inverness Mallaig etc are a pleasant day out. Overall this cottage is a little gem. Our stay at the Old Lock Keepers Cottage was wonderful, it's such a lovely peaceful setting. A place you visit, and wish you didn't have to leave. We'll definitely be adding it to our places to revisit, there's still more to see and experience. We had booked the hotel in the second half of October, after spending a week in the highlands. The weather was unusually beautiful for this season: 14 days without rain and almost always the sun was up to 16 degrees. With the cottage we also had big luck. The bedrooms on the first floor are very comfortable, the kitchen is excellently equipped, the open fireplace in the evening exactly the right, and the winter garden is pure luxury to relax. We were always on the way during the day and were very happy to return to the cottage. The location is very quiet, from the road you get nothing. We should also mention that the lock gate is supernett and has passed on the day before the departure to say goodbye. As a starting point for hiking and exploring the area, the location of the house is also optimal. Inverness and Fort William (we did not like it) are within easy reach, the Isle of Skye is not so far away, especially as the route is beautiful. Particularly attractive is Glen Strathfarrar, even if the access by car to a certain contingent is limited (meaningful). In the immediate vicinity of the house, one can also, for example, prima migrate, e.g. On the Ben tea. Overall a great week in a very excellent holiday home! A fantastic cottage as a base for exploring the area because of its location, but also a wonderful place to comfortably sit and watch the activities on the canal. 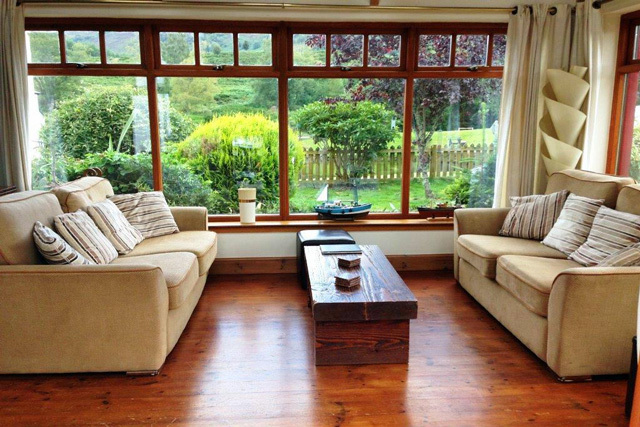 Great for all weathers, a cosy sitting room with a roaring fire for the colder days and a light and airy sunroom for lighter brighter days. We all loved our stay at Old Lock Keepers Cottage, it's peaceful location is a tonic. We absolutely loved our week at the Old lock keepers cottage, it was so peaceful and relaxing.the cottage had everything we needed and more, books games DVDs , and the sun room was fantastic to watch the boats every day, the owner called to find out how we were enjoying ourselves, which was very kind. Our only problem was, that we only booked 1 week, could have stayed for 2 very easily. My husband fished every evening, and caught a few too. Will certainly be back next year . Loved our stay At the Old Lock Keepers Cottage, it was very tranquil, just what we needed. I wish we had booked for 2 weeks instead of 1. The cottage was very well equipped down to games and books too. The log fire was so cosy at nights, and the sun room was perfect for watching the boats going along the canal daily. Hope to revisit next year. Had an excellent holiday at this fabulous cottage. 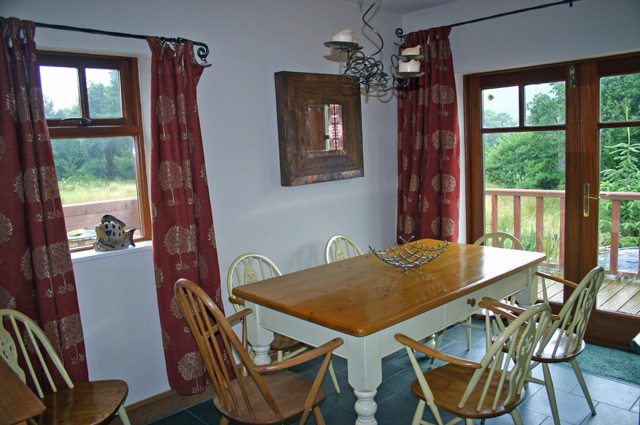 The cottage was well equipped and ideally located with plenty of places to visit locally. Couldn't recommend this cottage highly enough. We have just returned from the cottage. 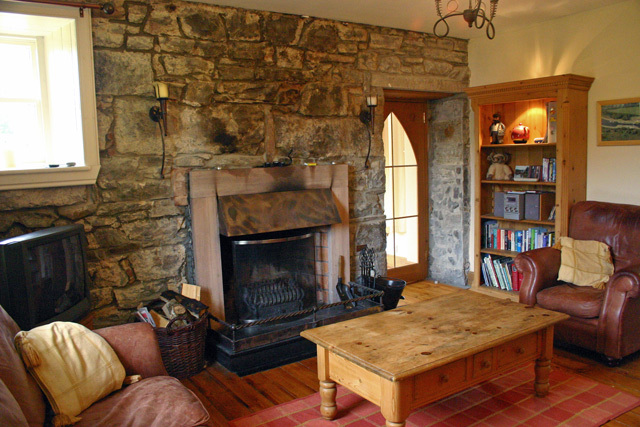 Location is idilic, cottage is lovely very comfortable, cosy and well equipped. The lock keeper is especially friendly. We have already enquired about returning next year which I think says it all. Delightful location on Culochy Lock. Great fun watching boats go through. Lock Keeper and his dog very friendly. Kids (both under 4) had a great time. Cottage pleasant, lovely sun room and open fire in lounge with fuel provided - nice touch. Stairs very narrow, steep and winding and difficult to get bags and suitcases up and down. Kitchen/diner good and well equipped but cooker not user friendly. Had plumbing problem and owners quickly responded - well handled. 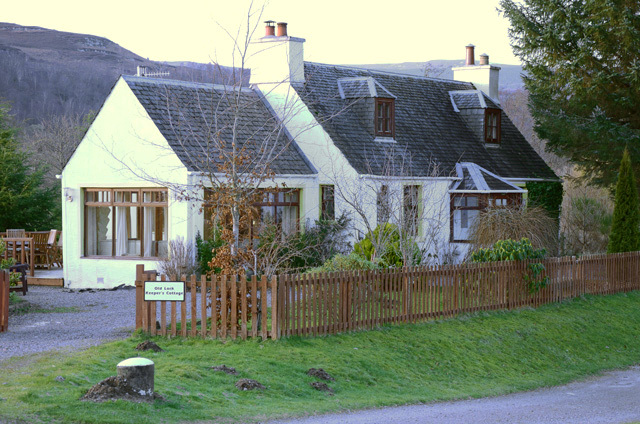 My family and I had a thoroughly enjoyable stay at the Old Lock Keepers Cottage near Fort Augustus in the Scottish Highlands. 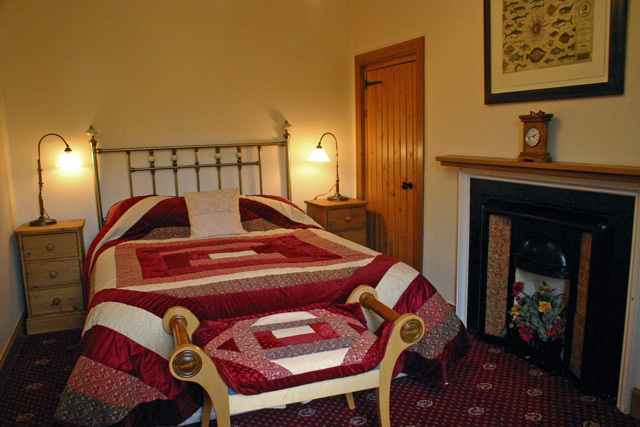 The cottage was extremely well presented and offered its guests a delightful and comfortable stay. The owners have obviously thought of every possible need from comfortable and luxurious linen through to logs and coal for the open fire in the living room. The views of the mountains and rugged scenery from the property were beyond belief. A beautiful & wonderful cottage. We have Two Fantastic weeks in the Old Lock Keepers cottage. The weather was great allowing us to take full advantage of everything the cottage and Scotland had to offer.The cottage has everything you could wish for. We would spend the mornings sitting the the sun room or the garden watching the boats go through the lock and talking the Derek the lock keeper (a lovely man). The children and adults had great fun, didn't want to come home. LOVED every second. Our 3rd excellent holiday at this cottage. its a lovely, clean cottage in a brilliant location and just perfect with its well equipped kitchen, washing machine and dryer for all the wet towels our family has ! Have already booked again for next year! Absolutely fantastic! We decided to visit the cottage last minute as our other holiday plans were cancelled due to the Icelandic volcano. Beautiful setting, friendly people and fine Scottish weather! Just returned from our Christmas & New Year holiday at Old lock keepers cottage. WHAT A FANTASTIC COTTAGE !! 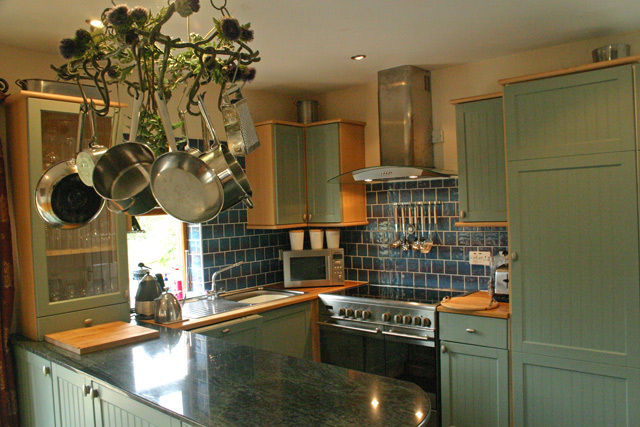 The cottage has a warm homely feeling , the moment we stepped into it we knew we had made a great choice. Everything about it is just right, fantastic location, clean , warm and every appliance you need. Would return to this cottage without hesitation. We all had a brilliant time and so did Susie our Golden retriever, who really enjoyed herself. So on behalf of Dave, Sue, Dennis Joan and last but not least Susie a really big thank you. the cottage was perfect. We had a glorious week at the Old Lock Keepers cottage over our Thanksgiving holiday at the end of November! The cottage was beautiful, clean, well appointed, and just far enough off the beaten path, everything we could ask for and more! It was cozy and welcoming, just perfect! Our days were spent exploring the Highlands and Loch Ness, and evenings were spent in front of the open fire, playing board games and drinking Isle of Skye porter. Our dog loved the fenced garden and the long walks to Ft. Augustus. The weather was great most days with a bit of snow toward the end of the week. Overall a most pleasant visit and wed love to come back, but sadly, our time in the UK has come to an end. 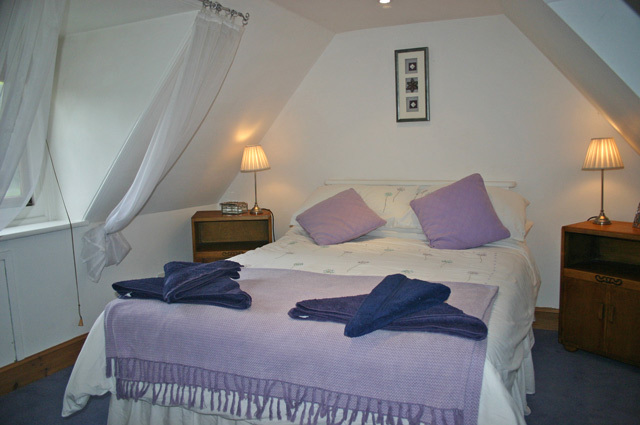 We cannot recommend the Old Lock Keepers cottage enough! Thank you for a wonderful holiday! 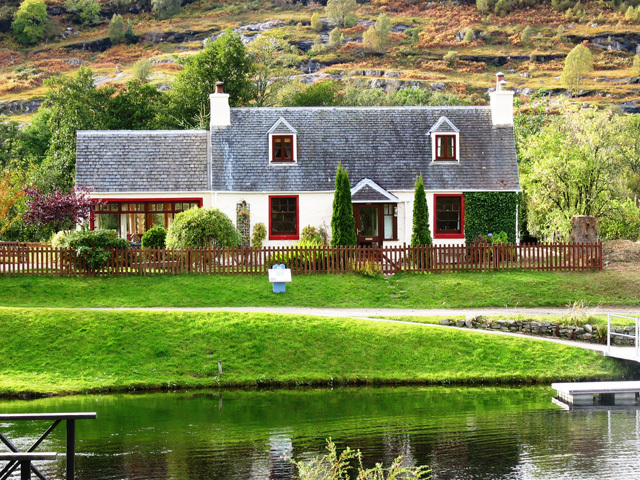 This is the most wonderful immaculate cottage, set right by the Caledonian Canal it is so perfectly peaceful and relaxing. We had to best week here and the surrounding area has many great place to visit. 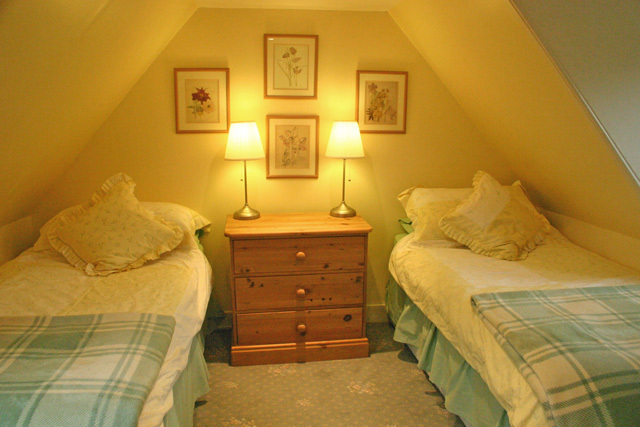 The Walkers & The Bairstows had a fantastic time at this warm, cosy cottage. Well done to the owners who seem to have thought of just about everything to make families feel welcome. 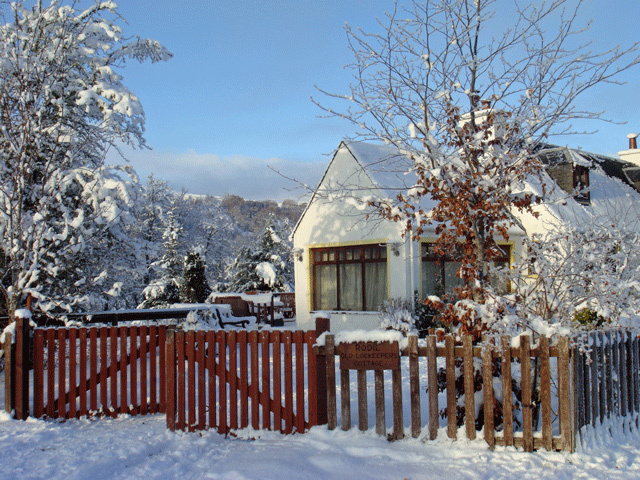 Also many thanks to Wilderness Cottages for providing a very friendly & professional service. 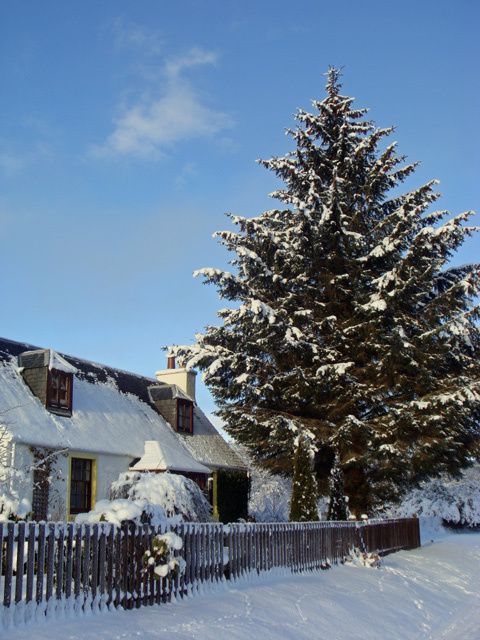 This fantastic cottage is in a brilliant location for accessing some of the best Scotland has to offer, the kids loved feeding the many hungry birds every morning. Fantastic weather, lots of sunshine and snow! Would recommend this cottage to anyone.